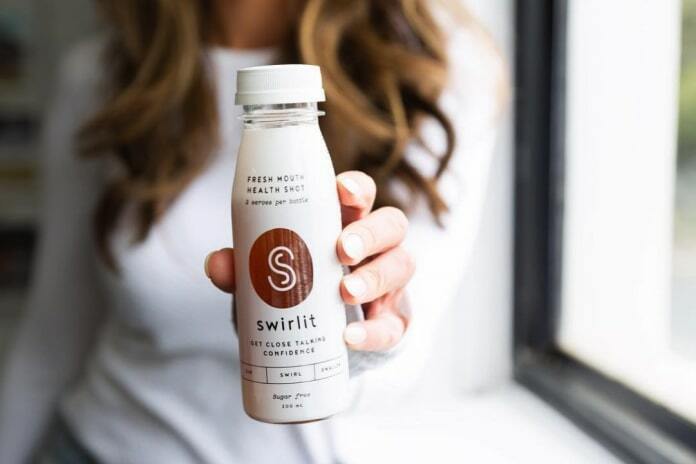 Swirlit is the new functional beverage formulated by a Sydney dentist Angie Lang to fill a gap in the market for a drink that wouldn’t contribute to dental problems. Dr Lang created Swirlit, a ready-to-drink beverage with xylitol and cinnamon, after seeing the detrimental effects of acidic beverages with high sugar content across her patients. Discovering there was no beverage on the market that prevented or didn’t worsen these dental problems, Dr Lang set out to create a drink with no sugar and a neutral pH. “I wanted to create something I could recommend to my patients, but rather than it being just a substitute it became functional. We have all of these drinks for gut health, mental health and energy. Swirlit is designed to be a functional drink in the oral health space,” she said. Swirlit prevents food sticking to teeth, gives an “instant clean mouth feel” and neutralises bad breath. Dr Lang said Swirlit also doesn’t contribute to the environmental problems of the things you spit out in the name of oral health, like traditional toothpaste and mouthwash. Swirlit has been 10 years in the making, culminating in 2012 with Dr Lang moving to Los Angeles for help in product formulation before moving manufacturing back to Melbourne, Australia. Dr Lang has 21 new products in development with research project underway with Sydney University Charles Perkins Centre. Swirlit is currently stocked in health food stores, cafes and day spas and distributed to dental practices via Henry Schein, with discussions underway with Woolworths and petrol and convenience majors.